From 1889 Lavanchy-Clarke was the representative in Switzerland of the English firm of Lever Brothers, manufacturers of Sunlight soap. He had to face the competition of Marseilles soap and to combat custom duty, which was heavier on individually wrapped pieces of soap (an English innovation) than on soap imported in bulk. The boldness of his publicity campaigns impressed his employers, pioneers in commercial advertising, and led to his interest in moving images, which he saw as a further means to promote Sunlight soap. The Swiss national exhibition held at Geneva from 1 May to 18 October 1896 was confined to native products. Lavanchy-Clarke therefore had the idea of building on a site next to the exhibition a vast Japanese pavilion called Le Palais des Fées. Despite the limitations imposed on publicity, the public readily associated it with Sunlight soap. Among the attractions offered to sightseers, the Cinématographe Lumière had a prominent place. 70,000 spectators attended his film show during the six months of the exhibition, and it attracted considerable press attention. He then organised further screenings throughout the country, always linked to advertising (entry to the show cost less to the housewives with a coupon cut from the Sunlight Almanac). Almost all the Swiss subjects in the Lumière catalogue were filmed under Lavanchy-Clarke's direction and date from 1896-1897. Some specifically advertise Sunlight by 'product placement' (Laveuses, Défilé de 8éme Bataillon) or Le Palais des Fées (Cortège arabe, Danse Egyptienne). Many show the Swiss Village which was the principal attraction of the Geneva exhibition of 1896. The traditional attribution of the 'Swiss' views in the Lumière Catalogue to Alexandre Promio is not confirmed by any formal proof and the date of the films makes it implausible. The frequency with which Lavanchy-Clarke appears in the films suggests that he was the producer, not the the cameraman, the latter function possibly being performed by his younger brother Emile Lavanchy (1857-1923). It appears that Lavanchy-Clarke, the owner of one Cinématographe and possibly a second, was never subject to the three-party contract which in other cases in 1897 bound concessionary, the Lumière factories and the operator, and which established a permanent control of receipts and performances. We do not know the reason for this independence, nor why Lavanchy-Clarke was involved as an intermediary in the negotiations which led to the contract on 26 March 1896 with Ludwig Stollwerck, a Cologne sweet manufacturer, for the exploitation of the Cinématographe in the German Empire. Stollwerk's company represented the Edison Kinetoscope and had since 1895 supported the researches of the Englishman Birt Acres before negotiating indirectly with the Lyons firm. Georges Demenÿ may provide the key. 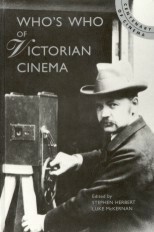 Lavanchy-Clarke, who in 1889 founded a company for the exploitation of coin-in-the-slot machines, had shown an interest in research into moving images well before the Cinématographe. With his stepfather, William Gibbs Clarke, he was one of the four founders of the Société Française du Phonoscope (1892-1895) which aimed to develop the work being carried out by Georges Demenÿ. Lavanchy-Clarke himself appears on a Phonoscope plate dating from 1893 or 1894 (he is sitting in a chair polishing one of his shoes). The two other founders of the company were Demenÿ and Ludwig Stollwerck. The German industrialist had had ties with William Hesketh Lever (1851-1925), probably since the end of the 1880s. This connection allows us to situate if not explain the involvement of Lavanchy-Clarke in the network which, in this connection, also extended to England. It was probably Lavanchy-Clarke who took a Cinématographe to Port Sunlight (the model factory village built by Lever on the River Mersey near Liverpool), and he was one of the cameramen who filmed Queen Victoria's Diamond Jubilee celebrations in London in June 1897. Lavanchy-Clarke did not play a decisive role in the expanding Lumière English production, but he was certainly influential in his employers' large-scale use of Cinématographe shows for advertising. Twice at least, from November 1897 and February 1898, the soap industry and the dairy product industry, Lever Brothers and Nestlé, co-operated in intensive campaigns, using on the first occasion films of the Jubilee and on the second a cricket Test match between England and Australia, taken by Henry Walter Barnett in Sydney in December 1897. In the publicity the 'famous Lumière Cinematograph' was explicitly mentioned as a supplementary attraction and a guarantee of quality. In 1899, a year after the opening of the Helvetia soap factory, producing Sunlight soap made under licence, Lavanchy-Clarke retired from the firm and apparently gave up his cinematographic equipment. A strange character, whose missionary calling found an outlet in philanthropic work for the blind, he was more an impresario than a businessman, a man for advertising and public relations rather than a manufacturer. His grandson placed in the Archives du Film du Centre National de la Cinématographie 200 original Lumière films which had remained with the family.